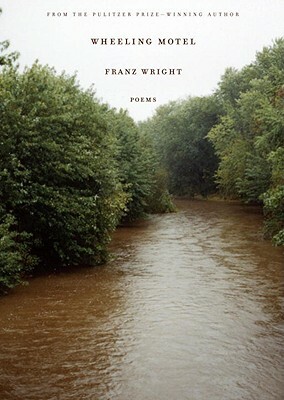 In his tenth collection of poetry, Franz Wright gives us an exquisite book of reconciliation with the past and acceptance of what may come in the future. Here, in Wheeling Motel, Wright’s poetry continues to surprise us with its frank appraisal of our soul, and with his own combustible loneliness and unstoppable joy. Franz Wright's recent works include "Earlier Poems, God's Silence, "and "The Beforelife " (a finalist for the Pulitzer""Prize). In 2004 his "Walking to Martha's Vineyard "received the""Pulitzer Prize. He has been the recipient of two National""Endowment for the Arts grants, a Guggenheim Fellowship, a""Whiting Fellowship, and the PEN/Voelcker Award for Poetry, ""among other honors. He currently lives in Waltham, Massachusetts, ""with his wife, the translator and writer Elizabeth""Oehlkers Wright.